Zion Sawyer had a good job, working customer service for an insurance company in San Francisco. She had friends, a loving family, and a bright future. Until she received a call from a lawyer in Sequoia, California, informing her she is the sole heir to her biological mother’s estate. Zion never met Vivian Bradley, but her death sends Zion on a path of discovery that changes her future forever. And she discovers that you can never escape your past, even a past you didn’t want to know. Happily surprised at this Cozy Mystery--very good. Deena Sharpe is a baby boomer on a mission. She's retired from teaching and looking for a challenge. Little does she know her super sleuthing skills are about to be put to the test. Get this fun set of three cozy mysteries now. A happy holiday turns into a silent night when the Christmas party hostess ends up dead at the bottom of the stairs. Did she fall, or was there something more sinister behind her quick descent? Deena Sharpe is not only a party guest, but her brother is smitten with the deceased's daughter. When Deena is asked to get to the bottom of the untimely death, she must keep her wits and help her brother stave off the rival for his new girlfriend's affections. 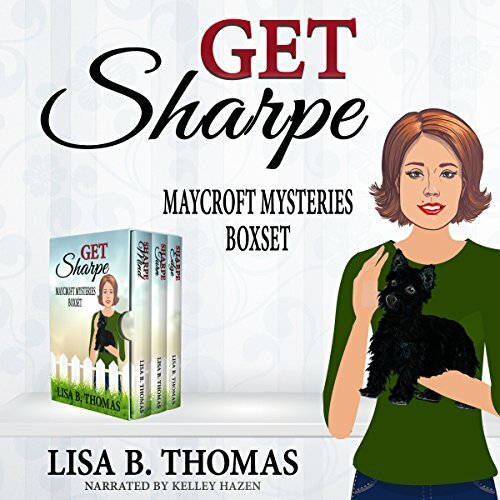 Former teacher turned reporter Deena Sharpe craves more adventure than covering dull city council meetings in the small town of Maycroft, Texas. But when she follows a hunch to investigate a story lead, she finds a dead woman strangled by a knitted scarf and becomes suspect number one. To make matters worse, a new psychic in town has residents on edge. Strange happenings multiply as quickly as the list of murder suspects, and Deena finds herself with more adventure than she had bargained for. 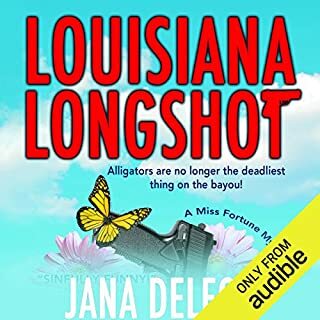 No pedicure is too painful and no dumpster is too deep as Deena seeks to unveil the killer before anyone else gets hurt. When a famous author agrees to teach a writing course at the library, amateur sleuth Deena Sharpe eagerly signs up. But on the second day of class, the author's wife dies in a car crash, and the police suspect foul play. Is it a hoax to teach his students about plotting a murder mystery? Not likely. Deena dives into the investigation when a friend is accused of the crime. With her brother's help, she must clear their friend's name and stay out of trouble with the town's newest detective. As if that weren't enough, it's her husband's birthday, and her pushy mother-in-law is coming to town. I really enjoyed this collection and think it is well worth getting. For this one audio book you get three stories. Book one (actually book two in the series) sharpe edge finds Deena and her husband at a Christmas party, where the hostess dies in an accident, the first problem is the daughter doesn't believe it was an accident and asks Deena to investigate. There was a lot of suspects to keep you guessing. 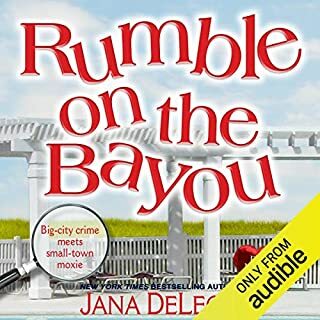 Book two Sharpe mind, Deena now a reporter becomes curious about a local councilman intentions and soon finds herself under suspicion of murder. 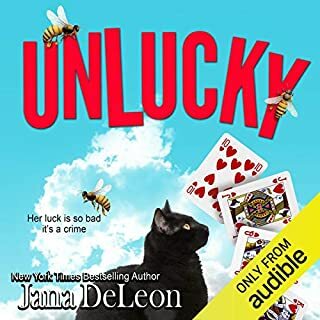 I love the characters in this book, especially the fortune teller and the ways she and her partner con the good people of Maycroft out of there money. 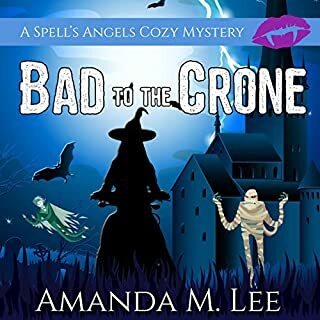 All three books were a nice cozy mystery that was easy to listen to,with a few funny moments added in for fun. It is the same narrator through all the books and even though some of her voices were funny to listen too by the end I was use it. I really enjoyed these books! 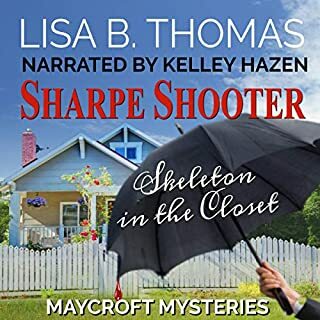 Lisa Thomas has created likeable characters, a charming small town setting, and a well-paced, clean yet suspenseful series. That said, I seem to be in the minority regarding the narration. 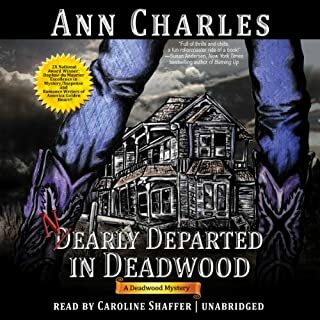 Portions of it were okay, but the southern accent seemed a bit affected for some of the characters, parts of the dialogue seemed almost robotic, and the overall reading was too slow. The pace was better at x1.25. I encourage potential readers to listen to the whole sample before purchasing. Many people seem to enjoy the narration, maybe you will too. I’ll definitely be reading more of the series, though I’ll probably stick to the ebooks.